Owning a beautiful, functional outdoor space that you, your family and friends can enjoy for years to come is just one of the many perks of living in sunny Perth. However, when it comes to establishing a garden from scratch, planning really is the key! Whether it be a native or ornamental garden, a fruit orchard or a veggie patch, it’s best to decide exactly what it is that you want to get out of your outdoor space before turning the first sod. Here at Wanda’s, we’ve put together a checklist of gardening tips to help you create the garden you’ve always wanted. This is when you’ll get to sit down and decide exactly what you want to create, so planning and research is key. For example, do you want a lush, green lawn with flower beds? If so, you’ll need to decide if you want flowers that are annuals or perennials (or both!). Does your garden get plenty of sun, or is it in shade for much of the day? If you want to successfully grow flowers or vegetables, the area will need around six hours of sunlight. However if this isn’t possible, there are plenty of plant species that tolerate shade well, such as local natives. For more information about which plants are suitable for your garden, talk to Wanda or Enrico. Once you’ve decided what type of garden you want, you’ll want to go to the root of the matter – literally! Preparing your soil for planting is one of the most important things you can do for your garden. Here in Perth, we have a lot of sandy soil that repels water, so you’ll need to build it up. Add a good-quality wetting agent to help the water penetrate the soil. You’ll then need to add nutrients to the soil, which can be done by adding sheep manure or compost as well as the all-important soil microbes. Microbes are fantastic because they not only help plants grow but really thrive in our hot, sandy climate. Finally, mulch can be spread over the top of the soil. At Wanda’s, we only use quality pine bark mulch, which helps keep water where it belongs (in the soil) while suppressing weeds. Now comes the fun part! With our infamous sandy soil, hardy plants that are drought-tolerant, such as local native varieties, fare best. If you prefer a vegetable patch, make sure the soil has been adequately prepared (see above) as the plants will need plenty of water in order to produce vegetables. For a herb garden or smaller flowering areas, pots may be used to help keep the soil at its absolute best. 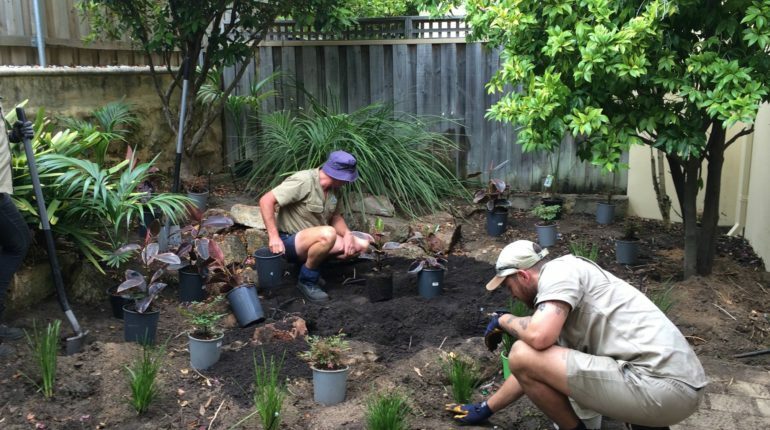 If you’d like more information about how to establish the garden you’ve always dreamed of, call the friendly Wanda on 9450 6165, or complete our customer contact form here. Wanda's Gardening & Landscaping is a professional family-run business based in the Perth metropolitan area. We pride ourselves on doing that little bit more and working that little bit harder to ensure our customers are 100% happy.